Britton Diamonds Couture Collection, Women the world over love Morganite for its fine pink tones which radiate charm, feminine essence and tenderness, this magnificent 17.98 carat Morganite from the Beryl family “emerald, aquamarine” was set between a row of brilliant cut diamonds which continue down the side in a V pattern, seven-eight diamonds with a combined total weight of 1.31ct set in 18K rose gold. 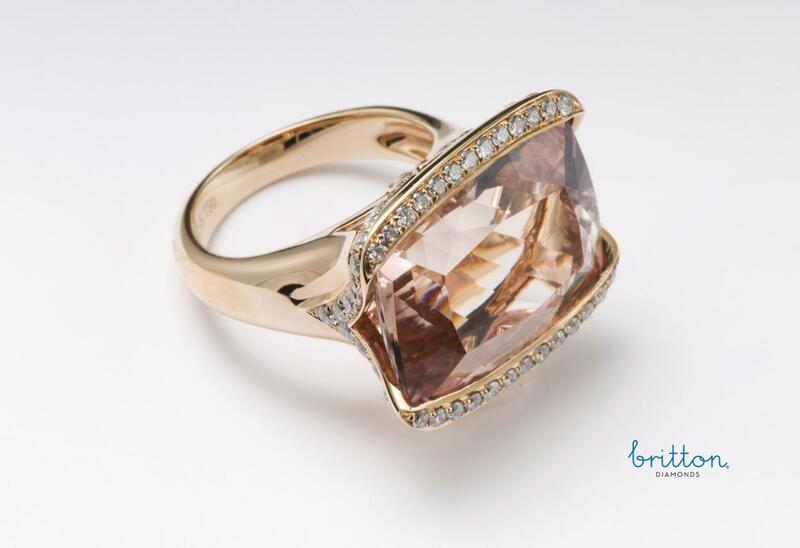 SKU: 190-00059 Categories: Precious Gem Ring, Rings. 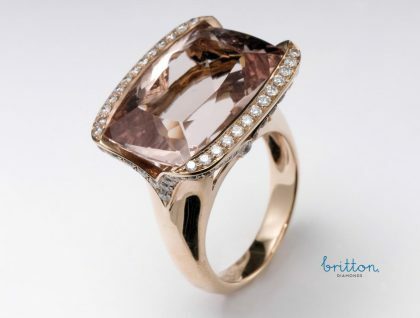 Tag: Morganite & Diamond Rose Gold Ring.